Social media marketing is undoubtedly effective for building brand awareness and customer loyalty. It’s also notoriously ineffective for building direct sales. But what if your site and social media strategy are not optimized for sales? Let’s try to fix that! Andréa Jones @OnlineDrea helps businesses connect with their ideal customer on social media and build a meaningful relationship. Andréa is a podcaster and founder @socialmedia4pod, a platform dedicated to getting your #podcast the attention it deserves through dynamic #socialmedia content and growth solutions. 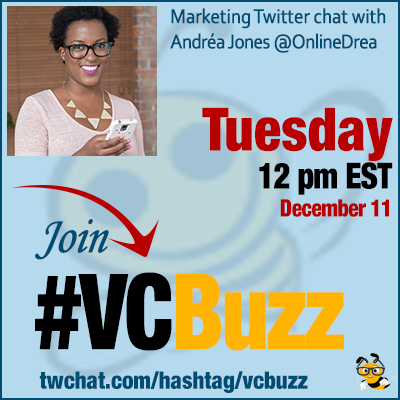 Connect to Andréa Jones via her site and on LinkedIn. I always wanted to work in social media. In my past corporate life, I got a chuckle when I said that in a leadership training program. I got the opportunity to start my own business in 2014 when I moved from the US to CAN. I started my business doing the MOST but it only took a few months for me to find my groove: social media marketing for lifestyle brands. I studied English Lit in University so I like to think all that paper writing helps me research and analyze. In the past year, I’ve really enjoyed pivoting into teaching what I know about social media and I’m happy to do the same today. True! Digital marketing could me so many things. I chose to focus on organic social media content and growth strategies. Q2 What is a social media sales funnel and why do we need a separate one for social media? Can you link to a couple of examples which you consider good ones? A social media sales funnel is simply using social media as the top of the funnel (the moment of attraction, if you will) in order to build more awareness for what you do. I like to think of this as more of a pathway than a sales funnel. Think about this: how do you convince strangers to buy from you using social media? Most of us don’t buy something simply because we saw it in a post. A good example of one is @caitlinbacher. She could talk about her new Scale program in every post but she doesn’t. Instead, she offers tons of value and then asks for the first step: booking a call with her. Another example I like is @emilyhirsh_. I first found her through a Facebook ad. I watched her entire 10 minute live video on ads and was fascinated. Now, I consume all of her podcasts and actively seek out her content. The main thing to remember with any sales funnel (or pathway) is that there is a process that people naturally go through before buying something. Q3 Your Twitter profile links to your own social media landing page. Could you talk a bit about that one? How did you build one and how did you determine which links to include there? I built my landing page as a way to narrow down the key actions I’d like new followers to take next. I built mine using @WordPress + @elemntor but you can also use a tool like @Linktree_. As for what links to include, think about what next action you’d like your new followers to take. How can they get to know you better? It can be a lead magnet, private group, booking a call with you, etc. Your landing page or any call-to-action you use should be as simple as possible for your end user. Make it easy! A confused mind says no. Does anyone else use a landing page or a collection of links for their social media followers? I’m curious! I’ve optimized my link for mobile since most of my social media web traffic comes from mobile devices. Q4 Is social media good for selling just about any product or should marketers come up with an alternative product in certain cases? Could you give some examples in tough / competitive niches? Social media is great for relationship building. Any product that requires some sort of trust before buying is a great product for social media. One niche that is tough to straight up sell on social is high ticket coaching. Social media is great for awareness but new coaches with high ticket offers have to first focus on building up that trust first (which takes time). Be patient. Any niche that’s sexual is also tough right now. So many platforms don’t allow for any content that’s the slightest bit riské. You’d have to be a bit sneaky to market that type of company or product. I’m in marketing which some may consider crowded. I see it as a challenge to differentiate yourself. I also see this niche as a proven concept because it’s full of successful people. This is so important! Some of the up and coming supplement brands are heavily relying on influencer marketing and FOMO to sell their products. Either that or they have a good story behind it. Q5 What are your favorite social media marketing and conversion optimization tools? I’m absolutely loving this scheduling and reporting tool: @TheSocialReport. It’s the first time I have everything I need in one place. Scheduling to all platforms, reporting, client access, etc. It saves me so much time. I want to highlight the reporting function of @TheSocialReport because it’s not simply social media reporting. I also compare social media data to Google Analytics which is super powerful and strategic. For encouraging social shares on content (blogs, podcasts, etc) I use Social Warfare by @warfareplugins. It’s a @WordPress plugin that really makes it easy for your website visitors to share the love. If you’re looking for natural looking stock photos, I recommend @byrawpixel because it’s very affordable and the quality and variety is amazing! They’re my go-to resource now for stock photography. If you’re building out your funnel, Try @Funnelytics. They’ve got a great platform that helps you see everything visually.